This latest effects plug-in from Rob Papen includes new features that will transform the way you mix your music – whether it be electro dance vocals or acoustic orchestral instruments. 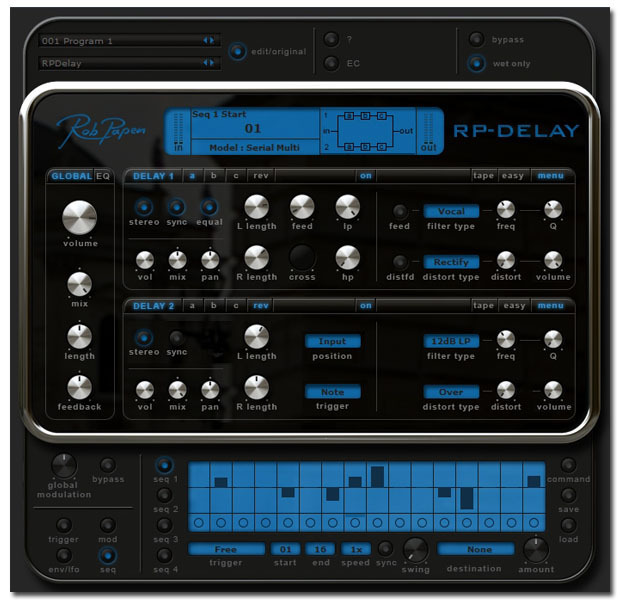 RP-Delay is a delay with a particular focus on some special features, including new FX routing which means the sound reverser can reverse the input, while simultaneously reversing one of the delay lines. The reverse sound can also be triggered via a midi keyboard, generating new sounds, and sending them into the reverser with its own filter and distortion. RP-Delay allows users to have 6 delay lines with 8 active multi-mode filters all operating at once in each of several delay models. In addition to the basic delay models like a simple mono delay and a stereo delay, Rob Papen has also included a tape-sound delay allowing users to change tape length without any clicks. The delays, filters, and reverser can all be modulated by the built-in modulators and RP-Delay includes 4 modulation sequencers, 4 LFOs, and 4 envelopes, with several trigger options. 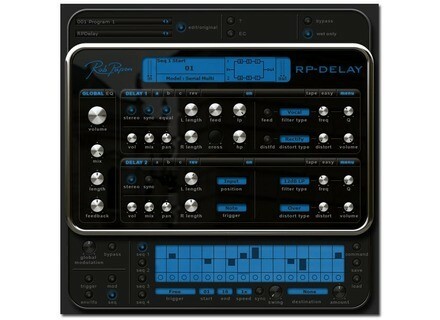 RP-Delay is available to download at the RRP of £42/€49 and is also bundled free with RP-Verb 1.5 (RRP £125/€149). Symbolic Sound Kyma Control iPad App Symbolic Sound's new 'Kyma Control' app for the iPad is designed to give sound designers, musicians, and researchers a new wireless multi-touch controller for the Kyma/Paca(rana) sound design workstation. Antares Systems Auto-Tune 7 Antares Audio Technologies has announced the release of Auto-Tune 7, the next generation of the professional pitch correction software. Brainworx bx_XL Released Brainworx announced the release of their new M/S Mastering Limiter, bx_XL.